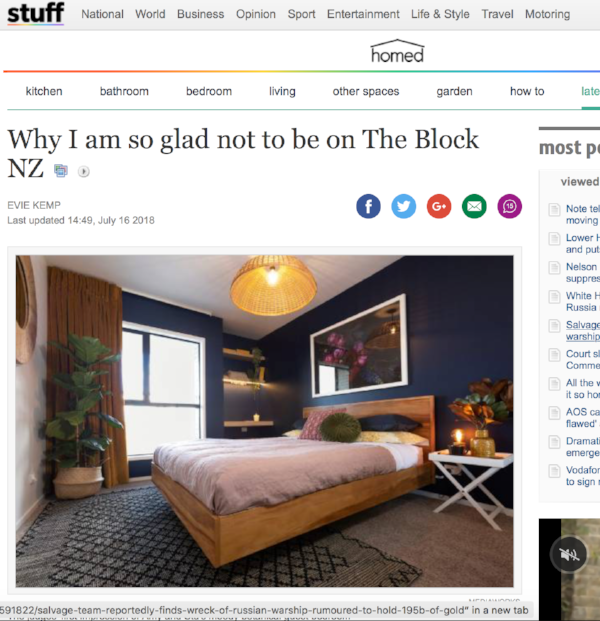 My love hate/mostly hate relationship with watching The Block NZ is now in to it's 7th season...so I wrote an opinion piece for the first week over on Stuff Homed. I'm also going to be co-hosting a couple of the reveal night chats over on stuff.co.nz - on Sunday July 29th and August 5th. I'll be posting on instagram before it happens but I'd love for you to hop on and watch/cringe/eyeroll along with me!